Kelly grew up in West Plains, Missouri. She graduated from the University of Missouri with a Bachelor of Arts degree in Psychology and a minor in Political Science. Kelly earned her Juris Doctor degree at Tulane University School of Law in New Orleans, Louisiana. While in law school, Kelly was the Chief Administrator of the Honor Board and Managing Editor of the Sports Lawyers Journal. In 2009, Kelly began defending employers and insurers in the area of Workers’ Compensation Law as an associate attorney in Columbia, Missouri. Kelly then gained valuable experience while employed as an Assistant City Attorney with the City of Kansas City, Missouri, where she provided legal representation for the City regarding workers’ compensation defense issues. In 2015, Kelly returned to mid-Missouri and continues to defend employers and insurers in the area of Workers’ Compensation Law. In her free time, Kelly enjoys spending time with her family, traveling, hiking, and kayaking. Kelly is a member of the Missouri Bar Association, the Boone County Bar Association and the Missouri Bar Workers’ Compensation Law Committee. Kelly is admitted to practice in all Missouri Courts, as well as the United States District Court in the Western District of Missouri. 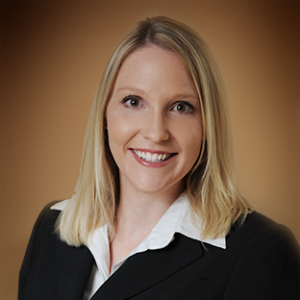 Kelly has comprehensive experience in Workers’ Compensation Law and has provided representation to employers and insurers statewide. Kelly has significant appellate level experience including appearances at the Labor and Industrial Relations Commission and the Missouri Court of Appeals.